As readers of The Newby Tribe will know, recently we moved into our forever home, after a long time saving up for a deposit and spending months trying to find the ideal home to grow with the children. We were delighted to find a gorgeous Edwardian town house on the outskirts of a lovely town, and have spent the last month moving in! In the first throes of moving in, we didn’t really think about decorating the house or making it our own – we were just excited to be in. 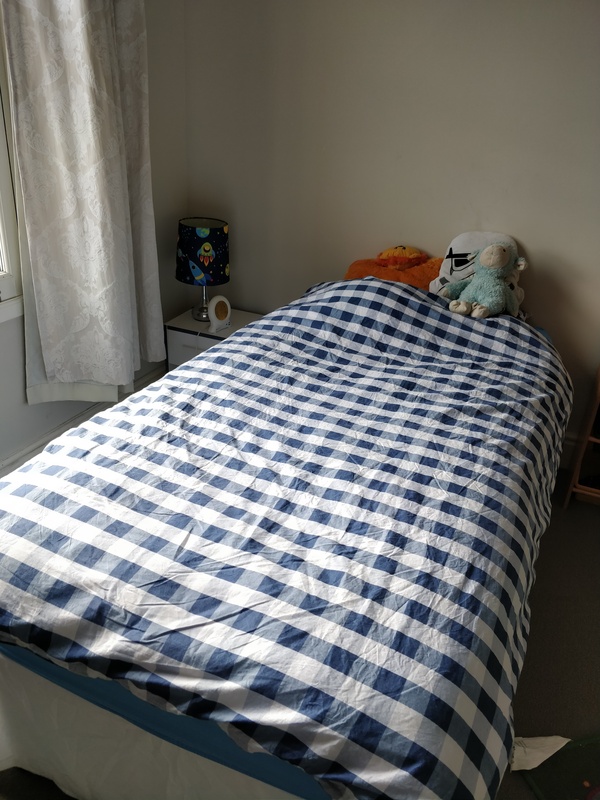 But after the first few weeks we realised that we needed to find a quick non expensive way to turn the children’s bedrooms from blah to fab with little effort and no disruption to the children. After a long thought, we realised that one of the fastest ways we could change the rooms and make them really beautiful quickly, was to change the bedding! Up until now we had been using what I would call ‘traditional’ children’s bedding. You know the type, lots of cartoon characters, dinosaurs or princesses or unicorns everywhere. The children liked it, and I liked that they were happy, but I wanted to do something different in their new rooms! They are growing up fast – they are now 6 and 8 – and their tastes change on an almost daily basis. So I realised that what I really wanted was for some beautiful bedding that would grow with them, no matter their taste changes! You’ll be surprised at how hard that is to find! But, we were lucky enough to find the lovely website Room to Grow, which was a life saver for us. After a lot of looking, and yearning for some of their beautiful items (bunk beds for sale from Room to Grow anyone??) we came across their lovely range of bedding and were sold. They had exactly what I was looking for in bedding for both of the children. 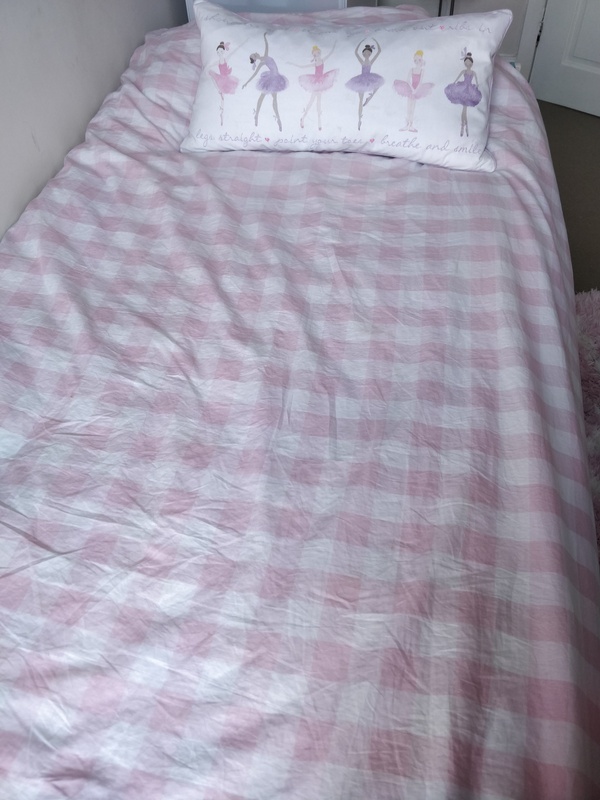 A beautiful checked pink and checked blue duvet and pillow set. Not only that, but they are reversible! Checks on one side and stars on the other – which is a really lovely touch. My little Alex, after his first night under his new duvet set, proclaimed that it was the best night’s sleep he’s ever had. I can see how right he was as the cover is made from such lovely thick material that the duvet inside feels like a cloud, and kept him super warm all night. What more could you want? 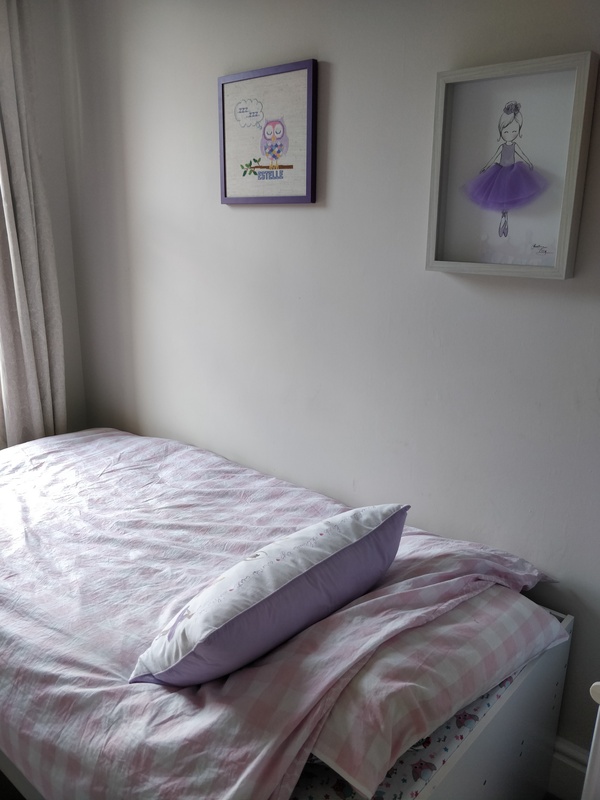 So, for not a huge outlay, the children’s bedrooms were turned from really drab and grey, into a pink and blue dream where they can begin their lives in our new house which is quickly becoming a home! 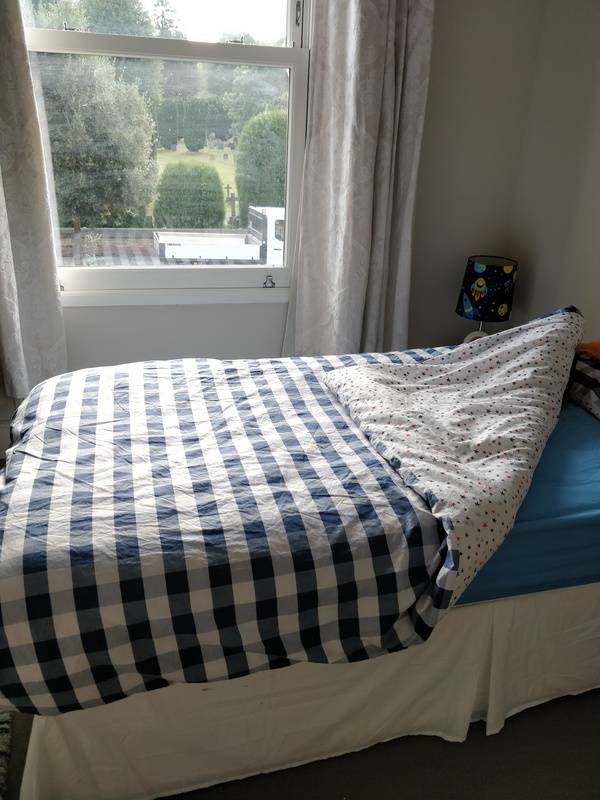 Disclosure : We were sent the duvet covers by Room To Grow in exchange for a review. Our review is our honest opinion, and we only review and recommend products that we love. All opinions, thoughts and photos are our own.